Cut rhubarb into 1-inch pieces. Divide evenly in bottom of loaf pans. 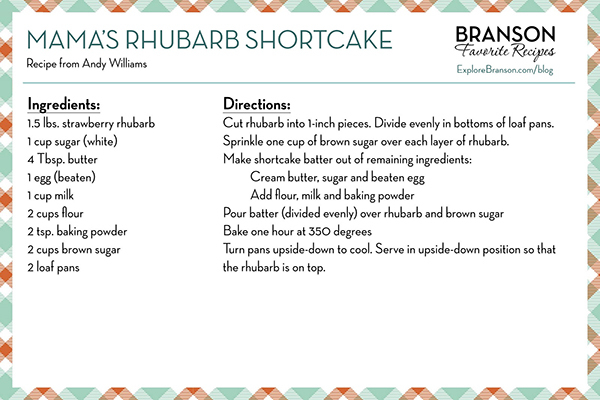 Sprinkle 1 cup of brown sugar over each layer of rhubarb. Make shortcake batter out of remaining ingredients. Turn pans upside down to cool. Serve in upside down position so that the rhubarb is on top.